As a new blogger, you may be eager to jump headfirst into monetization. While that’s certainly a commendable goal, getting started can be overwhelming for even the most seasoned of bloggers. From choosing the correct blog monetization methods to setting the process in motion, you may find yourself unsure of how to begin. However, whether you’re looking to monetize right away or wait until you’ve gained a following, there are a number of options offering excellent earning potential. Utilizing one or more monetization methods may even enable you to leave behind your nine-to-five in the long run. In this post, we’ll discuss what it means to monetize your blog, as well as whether you should start the process right away. We’ll then reveal five popular blog monetization methods and how to incorporate them into your blog. Let’s get cracking! You may have seen bloggers around the web make mention of blog monetization methods. There’s a lot that the process entails, but the basics remain the same no matter which method is used. 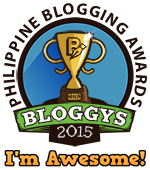 To begin, let’s define the process and why bloggers should consider it. 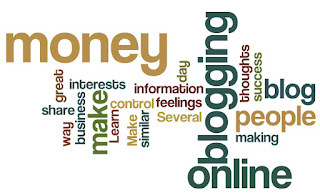 In the simplest terms, blog monetization is the process of generating revenue through your blog. There are a number of methods available to most bloggers, and various ways to get started. Of course, before beginning any business endeavor, it’s good to understand the pros and cons. 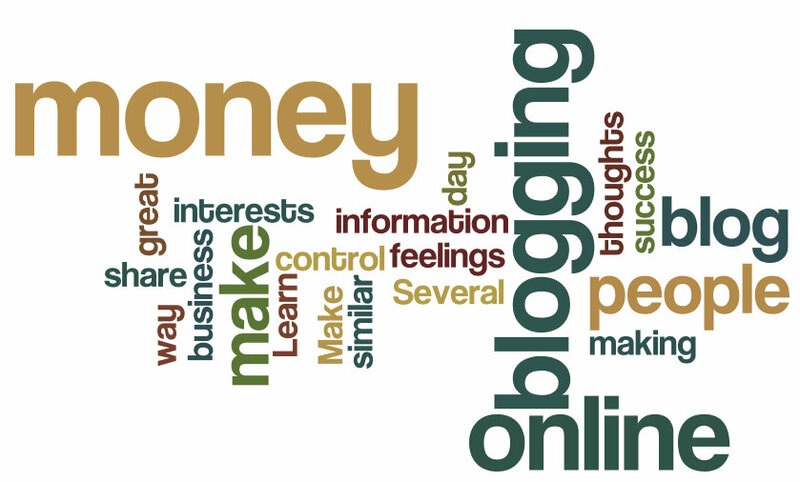 The largest benefit offered by blog monetization is the ability to turn your hobby into a job. While not everyone will make enough to quit their job, monetization can be a great way to supplement your income while doing what you love. There are some cons to consider as well. One is that monetization can make some site visitors wary. Not everyone will appreciate the incorporation of ads or other money-making methods into your blog. Additionally, if they’re not used correctly, the methods you use can impact content value. This can ultimately lower your readership which, in turn, would make monetization a futile effort. Having said that, there are ways you can go about minimizing the cons mentioned above. These include making high-quality content a priority and only utilizing monetization methods that can also benefit your readers. It’s certainly possible to monetize your blog before you’ve even hit Publish on your first post. Whether this is a good idea, however, will depend on a few things. Do I have the time to invest? Depending on the methods you use, it can take quite a bit of time to start earning. This is especially true for those who are just getting started. Will my site’s quality suffer? Prior to beginning the process, you may want to consider the level of quality you hope to offer, and be sure that you’ll be able to meet those standards while monetizing your site. How much am I realistically hoping to make? If you’d be disappointed earning less than a certain income per month, you may want to hold off on your revenue-earning efforts. Instead, focus producing quality content and building a following. If, after answering the above questions, you’ve decided to wait, here’s a couple of tips for adding monetization methods later on without shocking site regulars. Start slowly. You don’t want to take the focus away from your site’s content, so only incorporate ads that are relevant to your niche and target audience. Involve your readers in the process. You want your monetization efforts to benefit site visitors, so give them a say. The rest of the ‘how’ will depend on which monetization technique you choose. So without further ado, let’s get started! 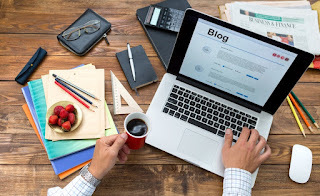 While monetizing your blog may seem like a big step, by using one (or a combination) of the blog monetization methods below, it can be fairly simple to get started. If you’re looking for a low-effort way to monetize your blog, Pay-Per-Click (PPC) advertising is a good option to explore. This, in a nutshell, involves the direction of traffic from one website to another. PPC ads are commonly seen on Search Engine Result Pages (SERPs) and social media sites, but any website can display them. One of the best things about PPC ads is that setting them up on your site requires very little effort. There are also other benefits to this monetization method, including the ability to tailor the ads to suit your blog’s audience and earn money passively. If you’d like to explore PPC advertising, an ad network – which can connect you (the publisher) directly with advertisers – is the easiest place to begin. Two popular ad networks include Google AdSense and Infolinks, but there are plenty of others to choose from. Keep in mind that you will have to apply to be approved by the ad network you choose. Additionally, such networks require that you follow a set of guidelines. These typically cover various website elements including traffic sources, content quality, and website history. As long as you use common sense when building your website and you only utilize ethical internet practices, getting ad network approval shouldn’t be too difficult. Affiliate marketing is one of the most popular monetization methods to make its way through the blogosphere. It offers a unique opportunity to make money while providing your readers with value. In simplest terms, affiliate marketing is a method where the marketer (you) promotes products for the merchant. When a product is purchased, you earn a small cut, known as a commission. No involvement in the sales or support process. The ability to offer tangible value to your readers. The chance to promote products you love. Similar to PPC advertising, there are networks that are affiliate-focused. These include Amazon Associates, ClickBank, and ShareaSale. Identify readers’ goals and problems. Listen to your audience, ask questions, and just be aware of common niche pain points. Find the products or services your readers need. These can be physical or digital, or non-material resources such as workshop or professional consultations. You can even ask your readers if there are specific products they’d like you to try out and review. Choose products you trust. To come across as knowledgeable and truthful, only promote products you’ve tested and are happy with. Make use of various promotion methods. Incorporate affiliate links in a variety of ways, such as creating custom content (including reviews and guest posts) and using email marketing. With the steps outlined above, creating a successful affiliate marketing business through your blog is definitely possible. As a blogger, you’re already a creator of great content. Why not extend that content to include products, such as e-books, guides, e-courses, and more? When you sell products, you’re in total control of the process. This is great for those who want to be more involved in their monetization efforts and create a standalone source of recurring income. Collect intelligence. Whether you’d like to write an e-book, build an e-course, or create a guide, you need to start with research. Create surveys, browse niche forums, and even perform in-depth interviews. Don’t be afraid to be explicit and simply ask readers what they would like to see you offer. Analyze the data. It’s not enough to collect data; you also have to use it to inform your decisions. The easiest method of analysis is to search for patterns. When perusing the data, look for common topics and shared problems. The more mentions that a topic has, the more likely there is to be a market for a product focused on that topic. Create a pilot. Before investing too much time, create a small-scale version of your product. You can offer this at a low price (or for free) to regular blog readers and obtain useful feedback. Creating a product to sell is much more involved than some of the other monetization options in this list. It will involve a lot of time, extensive research, and, most importantly, persistence. However, the benefits can far outweigh the negatives if it’s done right. Similar to products, service offerings enable you to take control of your money-making efforts. They’re also a way for you to set yourself apart from your competitors, and offer value to your blog’s followers. Just as with product sales, service offerings enable you to stay in control of the process. Additionally, your services can be a source of recurring income, and can help to establish you as an authority in your niche. What are you good at? This will have the most influence on your choice of service offering. When thinking of an answer, consider what you do for work and how you spend your spare time. Think about how you can leverage your unique knowledge and experiences to help others. What’s your blog niche? The more related your service offering is to your niche, the better. With your answer from step one, consider how you can apply your knowledge in a niche-specific manner. What service offerings are lacking in your industry? If you want to stand out in your industry try creating a service that isn’t currently being offered. As an added bonus, this will give you a boost as a niche authority. The answers to the these three questions, when combined, will enable you to create a unique and valuable service to readers. Of course, you can also ask your blog’s visitors directly what kinds of offerings they would appreciate. This will provide you with ideas that you know niche readers are interested in. As you begin to gain a sizable following, you may have businesses approach you to buy ad space on your blog. This is known as private ad space sales, and it can be an easy way to monetize. How much you earn will ultimately be decided between yourself and the business whose ads you’re publishing, but a common method for calculating payment uses Cost Per Impressio (CPI). Typically, you earn a set amount for each 1,000 ad impressions. It requires very little effort. After dealing with the business side of things, you simply set the ad to appear on your blog. Ad spaces typically sell for two to four weeks, and very little maintenance is required. It offers great earning potential. You can set your own price, which means your earning potential is practically limitless. It gives you maximum control over ads. As a private transaction, you can choose which businesses you’d like to work with. This means you can choose to only incorporate ads that will benefit your readers, or those that will earn you the most revenue. Above, we mentioned that businesses may approach you directly. However, you can also make direct contact yourself, or use ad space marketplaces, like AdClerks. Also, keep in mind that it’s difficult for blogs with low traffic volumes to earn revenue through this method. However, you can utilize the private ad space yourself while you work on increasing traffic. Promote your business’ offerings by creating ads and displaying them in a noticeable but nonintrusive place. Whether you’ve been blogging for a while or you’re just getting started, monetization is something that all bloggers should at least consider. After all, the process doesn’t have to be difficult and, with the right techniques, the benefits can far outweigh the negatives.